Regardless of how confident you are when boarding a plane, there is always some risk of being in a crash. Plane crash settlement amounts vary based on a number of factors. Granted, you’re much more likely to be involved in a car crash than one involving an airplane. Still, when things do go wrong in the air, the results are often more severe than those that happen on the ground. When you think about the weight of a plane carrying hundreds of passengers, it seems impossible that it could ever get airborne. Yet, one after another, small private planes and large passenger jets take off and land flawlessly during every hour of the day. People tend to think their risk of dying in an airplane crash is high. There doesn’t seem to be much chance of surviving when a plane crashes down from thousands of feet in the sky. While plane crashes tend to result in more fatalities at one time, those that result from car wrecks occur over a vast area and in greater frequencies. When a jet carrying more than 500 passengers crashes, the devastating loss appears on every news channel. That isn’t the case for the car accidents that take one or two lives the same day in every state. In fact, the chances of dying in a plane crash are much lower than those of dying from a car wreck, from murder, or from drowning. In spite of these statistics, many people still fear the totality of a plane crash in comparison to fatalities that occur on the ground. All plane crashes don’t occur during mid-flight. Some happen during takeoff or landing, often causing injuries to passengers and crew members. Most plane crashes occur due to a condition of the airplane or a failure of the pilot to make the right decision. Even in those cases with mechanical issues that lead to a crash, a human’s negligence is typically to blame. 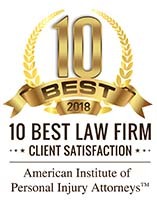 The cause of the crash and the severity of the injuries or loss both affect the plane crash settlement amounts crash victims or their families might receive. Loss of Control – Loss of control is the most common cause of general aviation (GA) accidents. Pilot error falls within this category of causes, along with many others. Flight crews often lose control when the plane enters a flight regime that they are unfamiliar with. The pilot might become distracted or complacent, preventing them from being aware of the situation. Severe turbulence or collision with a bird or other aircraft might occur. Accumulation of ice or a too-large load or unsafe load distribution might lead to a situation where the pilot no longer maintains control of the vessel. In each case, the pilot, the airline, and/or the loading crew might be responsible for the resulting plane crash. Pilot Error – Although pilot error is one reason for a loss of control, it’s also important to note the broad range of ways a pilot might be at fault. If a pilot is ill, under the influence of alcohol or drugs, impaired by an unexpected medical condition such as a heart attack, or is overtaken by a hijacker, it is still considered pilot error. Any situation that results in the pilot making an incorrect decision or taking the wrong action is attributed to pilot error. Problems with the Fuel or Intake System – This might be the result of a mechanical problem that resulted in fuel loss during flight. It could also be the failure of a negligent party who was supposed to fuel the plane before takeoff. Defective Equipment– When a crash occurs due to faulty equipment, it might be due to the manufacturer. In that case, the affected parties might file a product liability suit against the manufacturer of the part. Failing to Abide by FAA Regulations– The Federal Aviation Administration (FAA) is the governing body that oversees the regulation and oversight of civil aviation and the operation and development of the National Airspace System. There are many areas where the pilot might deviate from FAA regulations including flying too high or too low, flying with inadequate fuel reserves, or taking the wrong runway. Failing to Provide Adequate Maintenance– The airline has the responsibility of ensuring every plane is in shape to fly before it takes off. It everything wasn’t checked according to regulations, it increases the risk that a part of the plane will malfunction. Fatigue, lack of time, and failure to communicate down the chain of authority are some reasons maintenance isn’t provided. Air Traffic Control Error– When plane crashes occur during takeoff or landing, it’s often due to errors by air traffic control. It isn’t just large commercial airlines who have the responsibility to fly safely. Every airplane owner and pilot has the responsibility to follow the rules. Keeping planes well-maintained and always paying attention to the job will help reduce the likelihood of a crash. Pilot error is often given as the reason for plane crashes. However, the pilot isn’t the only one who might be held liable. It often takes months to investigate plane crashes to determine who is responsible. Once the investigation is complete and the officials determine the cause of the plane crash, you’ll have a better idea of the plane crash settlement amounts you’re entitled to. You’ll also know who was responsible and who to name as the liable party in your case. Negligence simply means that one person has the duty to protect another person from harm. Failing to maintain property or equipment to keep it safe is one way a person or business is negligent. In the case of airplane crashes, anyone who fails to perform maintenance, endorse the rules, or evaluate the credentials of their employees is negligent. Injuries don’t always occur through a lack of action. Intentional acts are those a person does with the intention of hurting someone. When an intentional act leads to civil charges, it is settled as a personal injury case. In some cases, there may be criminal charges instead or in addition to the civil charges. Physically dragging a passenger off a plane might be considered an intentional act. This type of tort law doesn’t distinguish between fault and intention. Instead, it requires you to prove that the other person or business caused the injury. In cases where a situation might cause extreme damage or harm, such as in a plane crash, strict liability requires the people and business to take every available precaution. The most likely scenario where strict liability applies to an airplane crash is with product liability. If a manufacturer makes a plane part that is defective, they have not met their duty to take every precaution to keep you safe. Once an airplane crashes, people begin guessing about what caused it. Had the pilot been drinking? Did the engine ice over? Was it natural causes? Even when a potential cause is evident, the investigators begin with an analysis of the events that took place prior to takeoff until the crash happened. A plane crash is investigated by the country where the crash takes place. In the United States, the National Transportation Safety Board (NTSB) investigates all major crashes. They use the information gathered to explain the cause of the accident and to make safety recommendations. Their data helps make airplanes safer for future passengers. The NTSB relies on a team of technical experts that sifts through the evidence immediately after a crash. The cockpit voice recorder and the “black box” are two of the most valuable pieces of evidence they recover. Once all the evidence is collected and documented, the NTSB employs a variety of parties to investigate the operational, mechanical, and human performance of the flight. The NTSB also reaches out to investigators in the plane’s home country to evaluate the evidence. – As mentioned previously, the manufacturer of a defective part can be held liable for a plane crash. – Common carriers are commercial airlines that give passengers the right to fly in return for purchasing a ticket. The FAA rules and regulations for common carriers are more stringent than for those flying personal planes. They can be held liable for breaking any of the rules and regulations that apply to their operation. – Owners/Pilots – When the owner of the plane is also the pilot, liability is more obvious. Taking any action deemed reckless makes them liable for damages and injuries they cause to other parties. 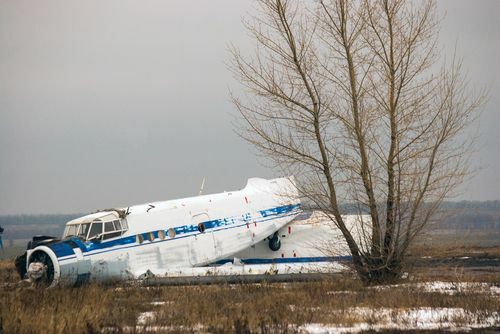 Sometimes the owner and pilot share liability. Respondeat superior, or vicarious liability, refers to the responsibility of the owner for the actions of their employee. – The Government – People often believe that you can’t sue the government. While that is true in some situations, there are also exceptions to the rule. 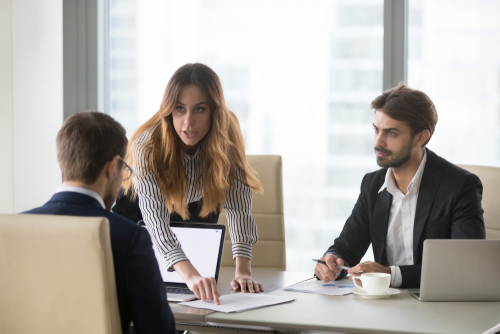 A piece of legislation known as the “Federal Tort Claims Act” gives private citizens the legal right to sue the federal government and their employees when torts occur within the scope of their employment. An additional act, called the General Aviation Revitalization Act of 1994 prohibits lawsuits against small, private use planes that seat fewer than 20 passengers. The act only applies to parts that have been in use for 18 years or longer. Not surprising, when plane crashes occur, the result is often numerous fatalities. When personal injuries are severe enough to cause death, the relatives sometimes have the right to file a wrongful death lawsuit. In this case, the goal of an attorney is to prove that someone was liable for the loss of their client’s loved one. In most states, the decedent’s spouse and children have the right to sue for damages. Where there is no spouse, a child or guardian may sue. Like the plane crash settlement amounts relating to personal injury cases, those for wrongful death cases vary widely among the states. Additional factors apply to passengers of international flights. If you lose a loved one in a plane crash, schedule a consultation with a personal injury attorney familiar with these types of cases. 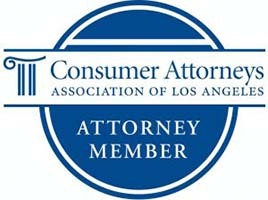 They will tell you if you can file a claim, what type of damages you might receive, and how to proceed with your claim. Don’t wait. Every state also has a statute of limitations that provides a specified time frame during which you can file a claim. Losing a loved one in a plane crash is a tragedy that causes a lot of emotions and confusion. You shouldn’t try to navigate a settlement or discuss your case with the airlines or their insurance company. Without experienced legal representation, it’s easy to say or do something that could affect your plane crash settlement amount significantly. Some of the damages you might receive include loss of future earnings, burial expenses, medical expenses, and pain & suffering. Another reason to let an attorney represent your interests is the Aviation Disaster Family Assistance Act of 1996. This law mandates that the NTSB and the airlines must provide support services to families of plane crash victims. Your attorney will advise you of your rights and the services available to you. Flying has never been as safe as it is today. The NTSB and FAA continue to implement new technology, rules, and regulations that prevent crashes from occurring. But it only takes one crash to cause life-changing injuries or a loss that affects you and your family in every way. If you’ve been injured or lost a loved one due to an airplane accident, contact Krasney Law today. We’ll provide you with a complimentary consultation to discuss your case. It doesn’t matter what your odds of being the victim of an airplane crash are. It only matters that you deserve compensation for something that the at-fault party could have prevented.